The University of Central Florida has its first assistant director of Hispanic initiatives to lead the university in being named a Hispanic Serving Institution by the U.S. Department of Education, and to spearhead the growth of an inclusive culture at UCF. Beginning Friday, Cyndia Muñiz will serve as the new assistant director as part of the Office of Diversity and Inclusion. “Our Hispanic and Latino students are very much our future doctors, CEOs and elected officials. I’m excited to see how we’ve [UCF] grown and make sure we are supplying this population of students with the adequate tools to be successful,” Muñiz said. UCF’s student body is 25 percent Hispanic/Latino students, which qualifies UCF to apply for the Department of Education’s Hispanic Serving Institution designation that roughly 15 percent of U.S. higher education institutions hold, according to the Hispanic Association of Colleges & Universities. Muñiz will spearhead UCF’s application for the designation next year, as well as future applications for federal grant money that UCF would then be qualified to receive. Muñiz also will work to further educate faculty, staff and students on the Hispanic Serving Institution designation and how they can contribute to an inclusive culture. For instance, she sees opportunities to help recruit and retain Hispanic faculty and staff, work with the UCF Foundation to help create stronger relationships with Hispanic alumni, and work with students to help plan more cultural celebrations and educational events on campus. This work is especially important now as UCF is set to welcome hundreds more Hispanic students in January. After Hurricane María devastated Puerto Rico, UCF waived the out-of-state tuition rate for displaced Puerto Rican students for the spring semester. Nearly 1,100 students from Puerto Rico have since applied to UCF, and 242 have been accepted so far. 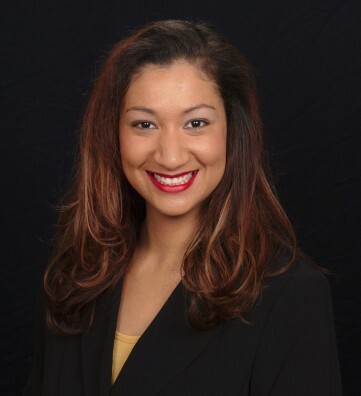 Muñiz is in her ninth year at UCF, where she’s held positions as a graduate assistant, graduate research associate, and most recently as assistant director of Multicultural Academic and Support Services. Karen Morrison, chief diversity officer of the Office of Diversity and Inclusion, said a position that focuses on Hispanic initiatives at UCF is a welcomed addition. “UCF’s fastest-growing student demographic is those who identify as Latino, and we have a large Hispanic staff,” Morrison said. “We believe we can improve as a university and support our strategic initiatives if we bring together those with the expertise, passion and skills to advance our learning and workplace environment for this community. Felicitaciones Cyndia! Te lo mereces!